If a candidate does not pass either the written or practical section of the examination, the candidate will have one year to re-test on either or both sections. The cost is $75.00 for each section individually, or 275.00 for both. If the indivdiual section is not retaken within one year, the candidate will be required to repeat the entire certification examination in full. PRT-c practitioners must complete one additional PRT-i course or refresher every three (3) years after certification. 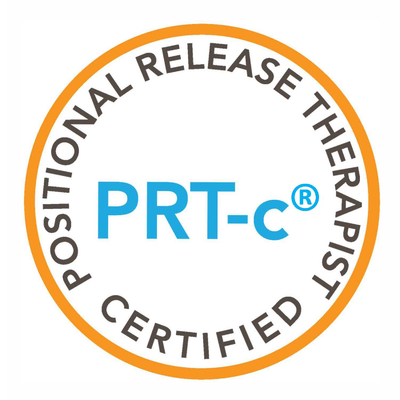 PRT Course Participants can earn their certification as a Positional Release Therapist (PRT-c®) by taking three educational sessions and through successful completion of a written and oral practical examination. Three courses must be completed in full prior to taking the examination. Taking the examination immediately after or during the third course is not permissible as the examination is compiled from the three courses and the candidate will need time to study. Once Certified, you will be listed on the PRT-i® Practitioner Network (under construction) so patients can find you! The fee for certification is $275.00. To maintain certification, PRT-c practitioners are required to take a PRT-i course (live or on-line) every three (3) years. Once registered, a study outline will be provided Written examination (50 multiple choice) Practical examination (30 pooled positions). Candidates are notified within two weeks regarding their examination score. Professionals must provide PRT-i® proof of current professional certification (* Note - students upon professional certification).